The San Antonio School Board announced that due to the Depression, married women would receive low priority in the hiring of new teachers. In June 1932, all previously married women whose husbands earned a minimum of $2,000 a year were terminated. In 1931, the offices of the Bexar County Courthouse began dismissing married women. Even the local pro-union newspaper, “The San Antonio Dispatch,” supported the facetious argument that a man has a greater claim to a job than a woman. After an 11-day prison break attempt, San Antonio drug kingpin Fred Gomez Carrasco is killed in a shootout in Huntsville. Carrasco obtained smuggled pistols and took hostages in the prison library. Over the next 11 days, Carrasco made demands, asking for tailored suits, dress shoes, and cologne. The convicts tried to dash to a waiting car by building a shield of law books taped together into a tank that was called the “Trojan Taco.” This resulted in a gun battle where two hostages were killed. Carrasco took his own life. A claim that Mexican revolutionary Pancho Villa hid a stash of gold in San Antonio was met with little excitement. From her sickbed, an elderly Dolores Vasquez told an Associated Press reporter that she had fought in Villa’s army and had helped bury $1.5 million in gold coins in a San Antonio churchyard with high walls and an orange tree. She said she couldn’t claim the treasure herself because people would wonder why an old woman had all these gold coins. San Antonio police said despite the story there was no sign of a public treasure hunt. Lackland Air Force trainee Johnny Cash marries Vivian Liberto at St. Anne’s Catholic Church. He was 19 and she was 17. Their courtship included many walks along the River Walk. It was there that Cash carved “J.C. Loves V.L” into a rustic cedar bench. That bench is now on display at the Witte Museum. Later, Cash penned the song "I Walk the Line" about his relationship with Liberto. The couple had four children, In 1966, Liberto filed for divorce citing Cash’s drug abuse and his many affairs including on with June Carter, whom Cash eventually married. Joske’s rings up its last transaction. Generations of San Antonians made the trip to Joske’s for an extravagant day of shopping and childhood wonderment. Founded in 1867 by German immigrant Julius Joske, the five-story flagship store at Alamo and Commerce streets opened in 1887. It became the largest department store west of the Mississippi, the first in Texas to be air-conditioned and install escalators. After many protests, it was one of the last public places in San Antonio to accept integration. Joske’s fell victim to corporate buy-outs and closed in 1987. Construction begins on the Tower of the Americas. 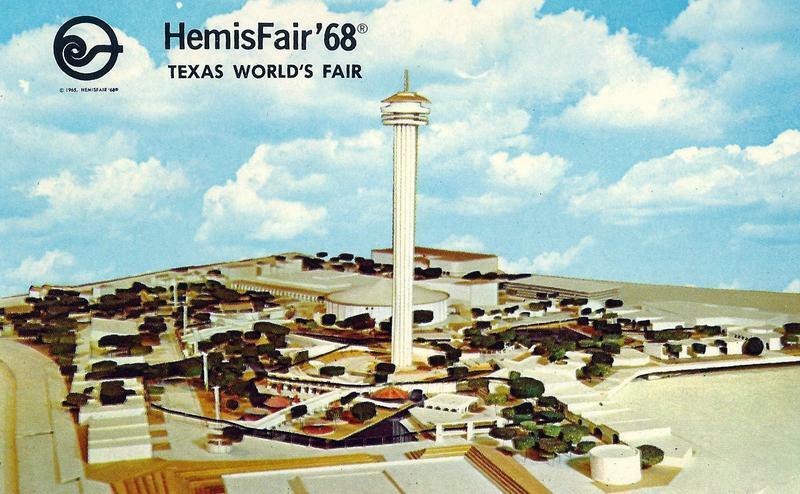 The 750-foot observation tower with a rotating restaurant was built for San Antonio’s Hemisfair '68 World’s Fair at the cost of $5.2 million. The cupcake-shaped top-house was built on the ground level and then it was hoisted to the top of the tower. Halfway up, on Halloween night, some of the lifting cables snapped and the top-house came close to crashing to the ground. At much risk, crews were able to stabilize and lift the top-house in place. The Massacre of Nueces. Confederate Lieutenant C. D. McRea led a San Antonio detachment of 94 men to intercept 64 German Texans who were fleeing to Mexico. The Germans were from Kendall, Kerr, and Gillespie counties and their plan were to go New Orleans to join the Union Army. The Confederacy saw these men as deserters. McRea tracked them to the Nueces River and attacked. Most were killed in the raid. The wounded were executed. The seven survivors were taken back to Gillespie County and hanged. A monument stands in Comfort to the fallen. A border shootout over contraband. 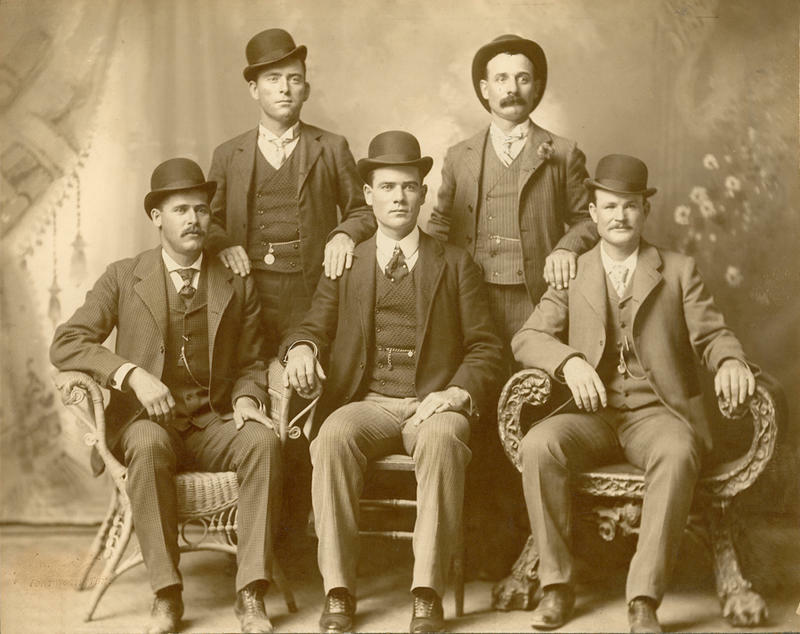 Two years into Prohibition and San Antonio was a hub for the flow of outlawed booze. The San Antonio customs office reported tequila smugglers were stopped as they attempted to cross the Rio Grande between Del Rio and Eagle Pass. The customs officers reported a running gun battle which killed two horses used as pack animals. The smugglers fled back across the border into Mexico and escaped the agents in the darkness. 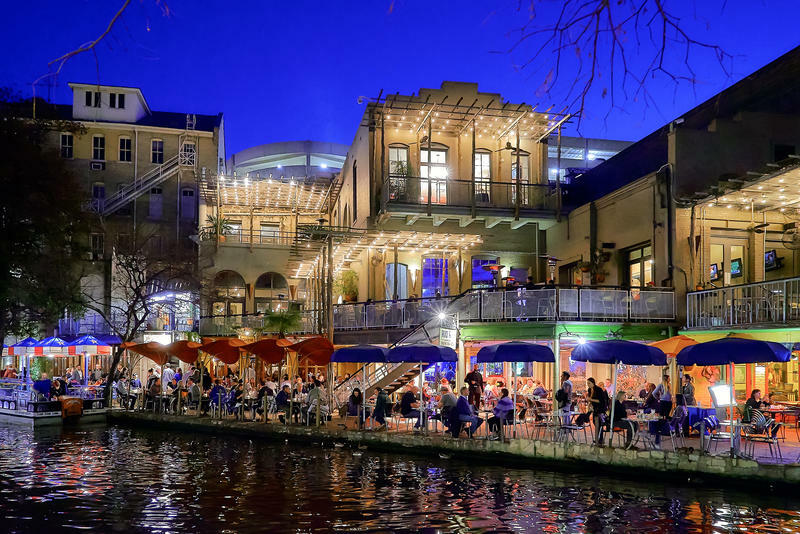 Known then as Little Chicago, San Antonio flourished during Prohibition with gangsters, bootleggers, and smugglers. The Bexar county town of Viva is wiped off the map. Viva was established in 1887 as a flag stop town for the San Antonio Aransas Pass Railroad for the steam engines heading to Kerrville. It had grown to include a depot, a general store, and a number of houses with the local children going to school in nearby Leon Springs. 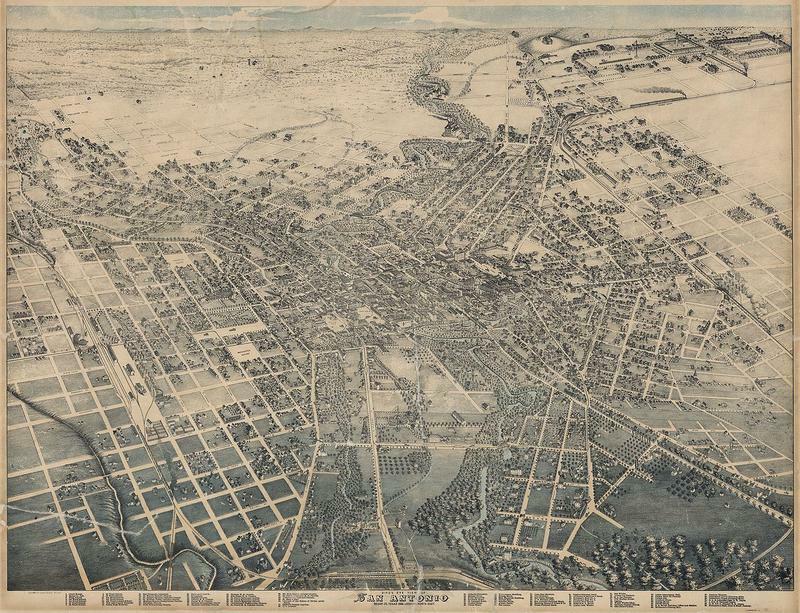 Viva languished and finally ceased to exist that morning in August when Bexar County Judge James R. Davis signed a petition that ordered closed all the streets and alleys of the town. After 30 years of bloody conflict, Captain Toribio de Urrutia brokered peace with the Apache Nation. That morning, a great hole was dug in Main Plaza. A great throng of people gathered to witness what came next. In the hole was placed a hatchet, a lance, six arrows, and a live horse. Urrutia and four chiefs joined hands and danced three times around the hole. Then priests, soldiers, citizens, and Indians did the same. A signal was given and the hole was quickly filled in. The weapons were buried along with the horse, bringing an end to the war. Audie Murphy arrives in San Antonio where the following evening his film “To Hell and Back” will have its world premiere at the Majestic Theater. The Texas-born, baby-faced celebrity was America’s most decorated soldier in World War II. He received 21 medals, including the Congressional Medal of Honor. Murphy stars in the movie playing himself and tells the story of his combat heroism including how he single-handedly held off an entire company of German soldiers. San Antonio’s downtown streets were jammed packed for a parade in Audie Murphy’s honor. San Antonio police officer Ferrell Tucker learns that fellow officer Stephen Smith is planning to murder Bexar County District Attorney Sam Millsap, along with other members of the police department. Smith had been indicted for beating a shoplifting suspect and he was furious for his perceived betrayal at the police department. The following day, Tucker told officials of Smith’s plan. They told Tucker to meet with Smith that night to secretly record a confession. But things took a deadly turn. Smith pulled a gun, but Tucker shot first. Later it was revealed that Smith was likely responsible for a number of other violent acts targeting SAPD. Murals are removed from the Municipal Auditorium on orders from Mayor C. K. Quin. The large paintings were alleged to have contained hidden communist symbols. The American Legion brought the complaint and said the murals were of a sinister nature and proved that communists had penetrated San Antonio. The painting included an upraised fist and a palm with bleeding wounds and was painted by Xavier Gonzalez. Gonzalez later moved to New York City to paint and teach. His works are in the collections of many leading museums including the Metropolitan Museum of Art. San Antonio’s slum clearance director announces 825 west side shacks were destroyed. Under the U.S. Housing Act of 1937, federal funds were available but San Antonio’s response was controversial and thus was unable to access the New Deal dollars for public housing. But in 1939, first lady Eleanor Roosevelt toured the area and witnessed the conditions. She declared San Antonio’s slum as one of the worst she’s ever seen and worked to bring public housing to the West Side. According to Leita Small, the official custodian of the Alamo, tourists would not stop carving their names into the remaining walls of the Texas shrine. Small said signs were posted asking visitors to resist the temptation to whittle into the historic structure but then the signs were immediately stolen as souvenirs. Small said the second her back was turned, out came the pocket knives. The visiting vandals weren’t only slicing their initials into the walls, they were also cutting chunks out of the doors of the Alamo to have a piece of history to take home. Texans go to the polls to vote on a state constitutional amendment ending Prohibition. Nationally, Prohibition had been repealed two years earlier but that had no effect in Texas because of the 1919 state Prohibition amendment. The 1935 Prop. 1 would end Prohibition in Texas but still prohibit “open saloons” and allow local governments to decide if they’d be wet or dry. There was no doubt that San Antonio would be a wet city. Bexar County had the largest margin of victory for the repeal, 6-1. 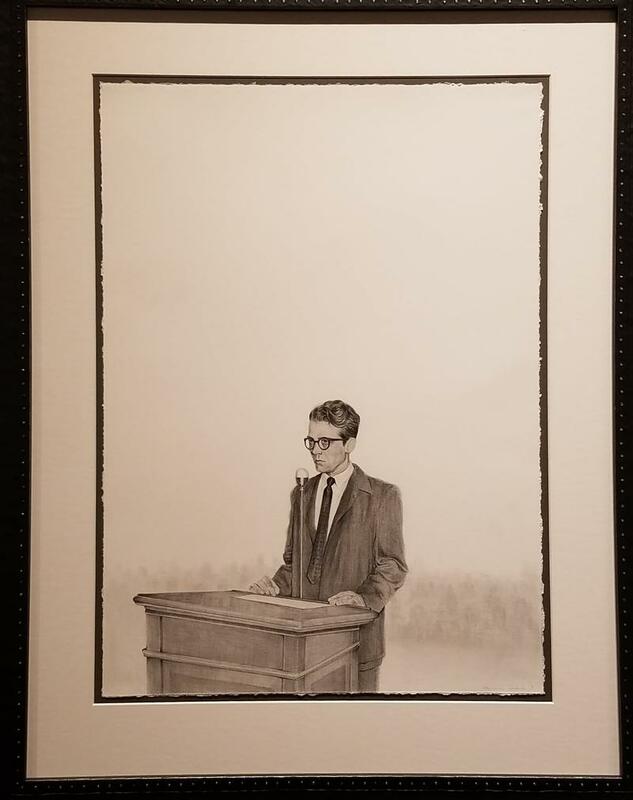 An angry mob of 5,000 storms the municipal auditorium when labor leader Emma Tenayuca attempted to hold a Communist Party meeting. To prepare, the entire San Antonio police department was assembled for crowd control and the emergency room at Robert B. Green was double staffed. The crowd attacked by hurling bricks at officers. They responded with fire hoses and tear gas. The mob was undeterred and burned Mayor Maury Maverick in effigy. There were chants to lynch Tenayuca. She was forced to flee San Antonio. Over 100 Rio Grande Valley farm workers on a protest march enter San Antonio. The laborers began their 300-mile trek on July 4 and had planned to end on Labor Day at the state capitol. The farm workers were seeking a $1.25 an hour state minimum wage, and also clean drinking water and bathrooms at their work sites. In the pouring rain, the marchers gathered in Main Plaza and then attended mass at San Fernando Cathedral celebrated by Archbishop Robert Lucey. The last stand of the chili queens. 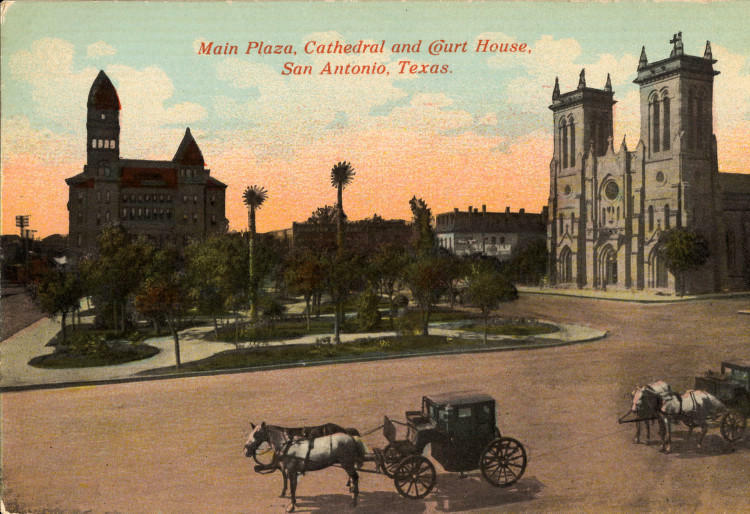 For over 100 years, San Antonio’s plazas were populated with the smells, tastes, and sounds of these unique open-air food vendors. The queens were known for their beauty and charm as well as their culinary offerings. But in 1937, with an election looming, Mayor C.K. Quin made the chili queens an issue. He declared them a public health nuisance and banned them from Market Square and other public areas. The dishes and recipes invented by the chili queens were the forerunners of the Tex-Mex food industry. City auditor Walter Tatsch was busy counting nickels after the San Antonio’s first full day of parking meter use. The 370 gizmos were an unwelcomed novelty for downtown shoppers. One nickel bought the maximum time at a space on Commerce Street: one hour. On the first day of use, police officers were out in force helping drivers navigate the new devices. 1,500 parking meters were planned to be installed in the downtown streets. Shopkeepers complained that the meters will hurt their trade since few will want to pay for parking. The Eagle Ford Shale boom begins. Conventional wisdom declared South Texas as “tapped-out” for oil. Skeptics scoffed at Petrohawk’s plan for an experimental fracking oil well drilled in La Salle County. But when it began to produce, a land rush kicked off that would pump billions of dollars of wealth to the region and over a billion barrels of oil for an energy-hungry nation. While a debate can be had about the environmental cost of oil fracking there’s no denying it created fortunes and changed life in South Texas. Sweeping changes are made to the city’s garbage system. A survey of the rubbish arrangement finds that two of the city’s incinerators need to be replaced. And the entire method garbage disposal is deemed obsolete. 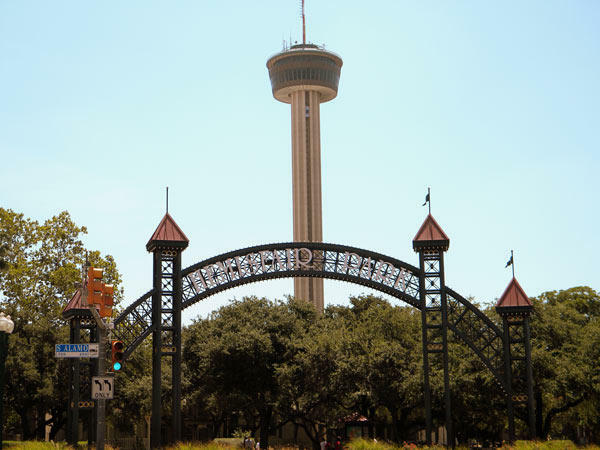 The incinerator at Brackenridge Park is pointed out to be particularly bothersome and will have to be abandoned when the municipal stadium is built. Also, the incinerator at Travis and Las Moras streets is a health hazard since its smoke is delivered into the densely populated neighborhood. Mayor Maury Maverick recommended the city find a suitable place for a garbage dump.